When visiting the highlights of Hong Kong, nature isn’t always the first thing that springs to mind. Skyscrapers, cuisine and culture are continually a huge draw for the throngs of tourists that visit each and every year, from all corners of the globe. City life is dramatic and appealing, but away from the busy city life, Hong Kong is steeped in natural beauty and has many great outdoor locations that will leave you wanting to discover even more. 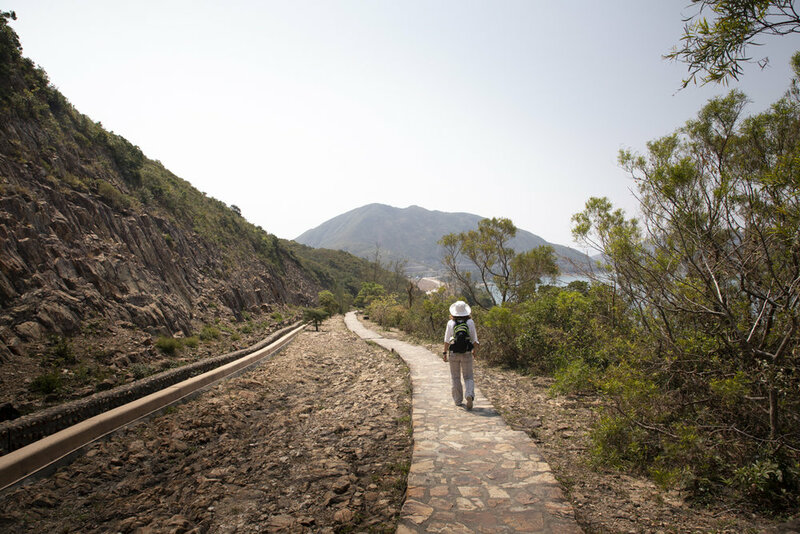 I went for a closer look at Hong Kong’s lesser-known natural treasures and joined a qualified eco-tour to learn all about the fascinating local geology and ecology. Over many years, Hong Kong has often been seen (by tourists) as a popular stopover destination, before moving on to other areas of south-east Asia and beyond. 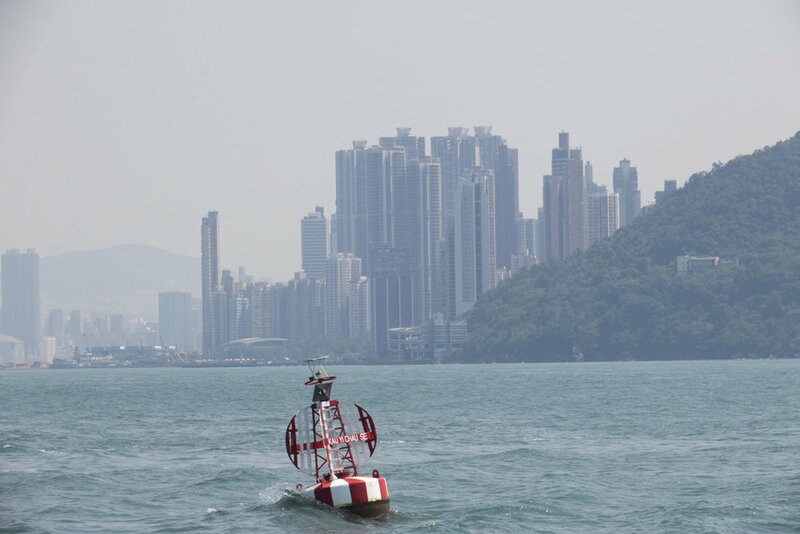 In recent times and through the promotion of its abundant great outdoors experiences, it is increasingly seen as a desirable place to stay a little longer, with a perfect mix of urban Hong Kong and the beautiful nature to be found all around. During my visit, I have experienced those contrasts, that make Hong Kong so very interesting to visit. One of the green areas I visited, was the Sai Kung Country Park. During an unique guided hiking tour. I was surprised to find silence, in the heart of rural Hong Kong. To get here I took a combination of transport options to reach the park; a combination of subway, bus and taxi led me on a 2-hour journey out of the urban sprawl. To a place that was not only stunning but also something that is a marvellous piece of engineering. On the edge of the South China Sea, there is a staggering array of 14 million-year-old volcanic rocks to be found. This tour provided me with the chance to see one of Hong Kong’s most breathtaking places to visit and one that I think should be high on any visitors list. There are more green treasures to be found though, find out about 5 unique guided hiking tours here. The High Island Reservoir East Dam serves its purpose as supplying water to the city but also forms the backdrop of this popular location. It is found to be the most accessible part of Hong Kong Global Geopark and the only place where you get to touch the rather unique hexagonal rock columns. These were formed around 140 million years ago, as a result of volcanic activity. Lava and ash would erupt, then spread across the surface, to form layers. As the lava and the ash then cooled, they contracted uniformly to give rise to these impressive hexagonal columnar joints. Around the area, I found the scenery to be really unique, even surreal in parts. Not only due to the natural coastline, but more so due to the presence of thousands of blocks (huge cement barriers shaped like columns) placed along the coast to break sea waves. It is a very interesting place, as the area effortlessly mixes man-made materials alongside pristine natural rock features and surroundings. Views on Po Pin Chau. Originally attached to Fa Shan, but when the ridge collapsed from weathering, it became a stand-alone island. This area offers many great hiking tours, which allows you to immerse yourself in this wonderful natural landscape, compiled of lakes, mountains, a rugged coastline and beaches. With its undulating terrain and breathtaking scenery, I would thoroughly recommend you spending some time here, exploring and enjoying the natural surroundings. Another great spot, located off the coast of Hong Kong is the idyllic island of Cheung Chau. This is a great island to check out if you want to escape the city. It’s full of bicycles and no cars. It just a short trip away from the city, yet it feels a world away. To get there, you can take the regular or the fast ferry service from Central Pier number 5. I took the regular ferry from the mainland, which took around an hour. It provided me with some amazing views on the city and the surrounding islands! On arrival, it is clear to see how naturally beautiful the island is with a wide expanse of greenery, rolling hills and caves to explore, such as the Cheung Po Tsai Cave. The harbor is very quaint and picturesque. It is bustling with activity, as fishing vessels, trawlers, continually cross from one side to the other. It certainly has a vibrant feel and an inviting waterfront promenade lined with little shops and souvenir stands. Plenty of fresh seafood restaurants and many dried food stalls. Dried shrimps, one of the many fantastic traditional sea foods you can find here. To travel around the island, I decided to use pedal power and of course, took in some of its great nature. Although small, the island has lots to do and enough to easily allow you to spend a full day here. The roads, such as the Sai Tai Road, are inviting and there are small temples dotted all around. It provides many opportunities to enjoy a short hike and immerse yourself in some of its splendid views on the sea. When travelling to the Peak, which just happens one of my 10 favorite photospots in Hong Kong), You can take the tram up to the very top. Once there you can revel in this amazing experience, with some amazing views over the city. You will finally end the visit at the Peak Tower, which is about as far up as most tourists get to go. If you want to go further you can continue hiking up the Mount Austin Road for about another 20 mins, where you will eventually reach the summit. Once there, you will find yourself in the tranquil Victoria Peak Garden where you will be treated to another stunning viewing point. Make sure you bring water and insect repellant with you! As a photographer and traveller, I love the outdoors, and I’ve enjoyed having had the chance to hike in this picturesque corner of South East Asia. It was a truly wonderful experience, with so many opportunities to experience the great outdoors in Hong Kong. Another highlight in this area would be to see the famous Tian Tan Buddha on Lantau Island. Or Tai O. 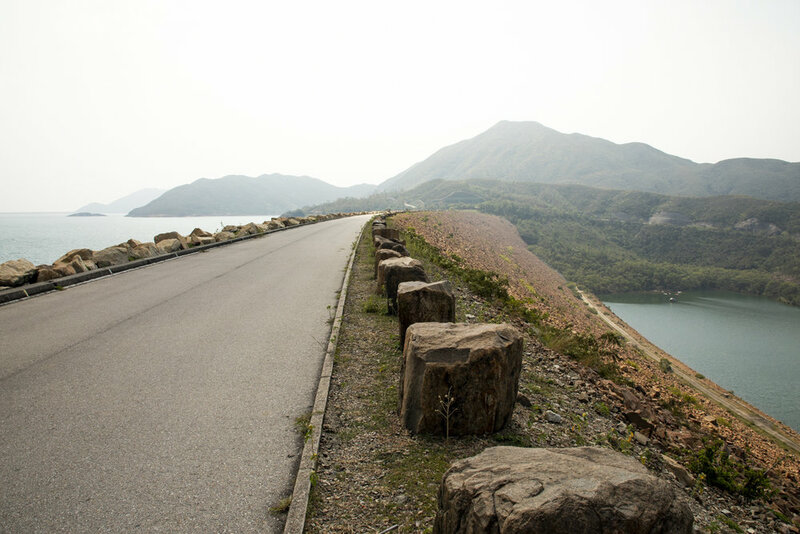 The Lantau island is beautiful and an impressive site to see. It is a tiny fishing village where you will find an array of traditional houses placed on stilts and where you have the chance to spot pink dolphins. They are both part of my 10 favorite photospots in Hong Kong. I was excited about exploring the many green areas of Hong Kong and was very surprised about how many great routes were on offer. With these five unique guided hiking tours to choose from there’s something for everyone. I had the privilege to revisit this amazing city under inviation from the Hong Kong Tourism Board. I would like to extend a huge thank you for allowing me to visit the city again and explore much of its greener surroundings. If you would like to find out more about the tours, then please visit their website for more information.